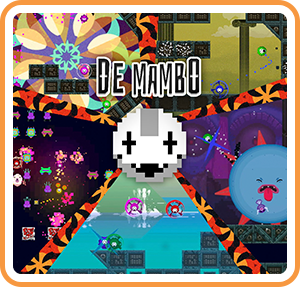 De Mambo is The Dangerous Kitchen's first game that lets players take control of up to four characters locked in infinite mambo! Help them escape this horrible—and somewhat provocative—despair! Knock your opponent off the screen… and use your measly one button to attack with three levels of charge! Break the level however you decide (thanks to some flimsy architecture) to make your game marginally different each time you play. Where can I buy De Mambo physical/digital?